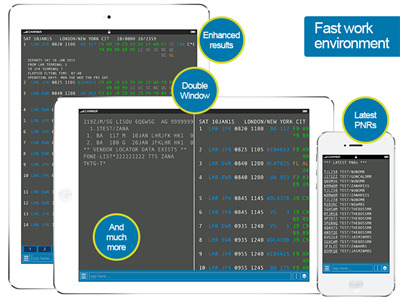 Travelport Mobile Agent is a mobile application that provides access to all Travelport GDSs, allowing travel agents to work on their Apollo, Galileo or Worldspan cryptic terminal on the major mobile operating systems: iOS, Android and Windows Phone smartphones and tablets. 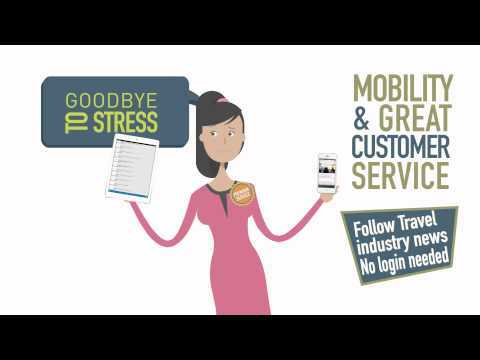 With Travelport Mobile Agent travel agents can offer a 24/7 customer service to your clients without the urgent and late runs to the office. 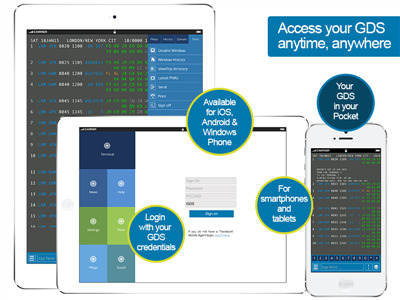 It offers full mobility to the travel agent in a secure environment and with an optimized user experience. 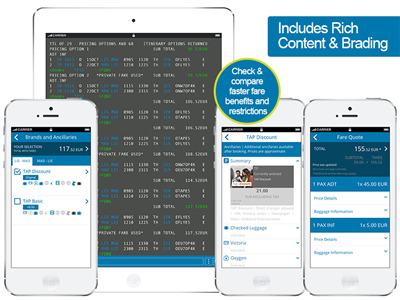 TTS grants a 30-day money back guarantee on Travelport Mobile Agent and TTS WebAgent - no hassles, no questions asked (applicable for first-time users, one time per PCC). FIND OUT MORE AT TMA.TTS.COM.